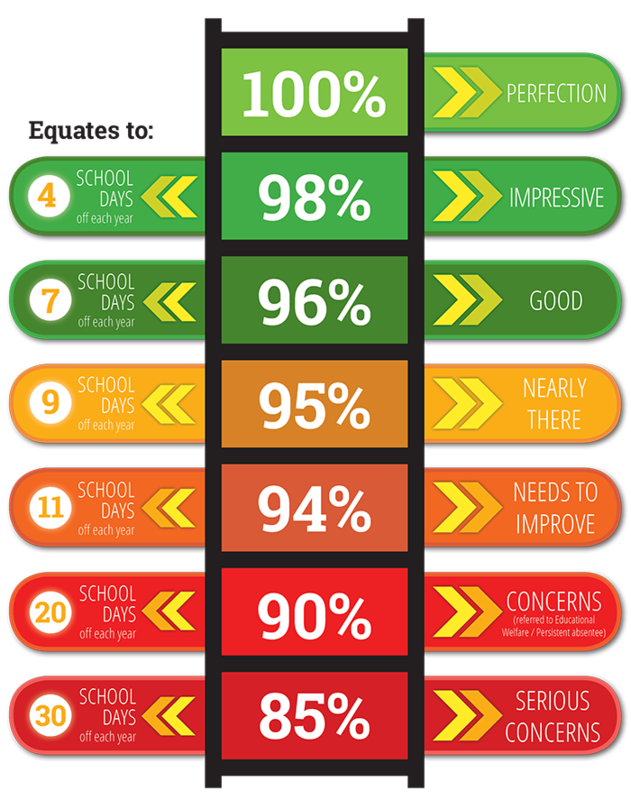 The school places particular importance on pupils’ attendance and punctuality. Good attendance at school is very important as it supports the child in acquiring positive lifelong habits, which helps them in their academic progress. Absence from school means your child will miss vital learning opportunities. Here at Sir Thomas Boughey High School we have a long history of good attendance. The School works in close liaison with an Educational Welfare Officer who follows up cases of unexplained and regular absence. We are required to investigate issues of pupil’s whose attendance falls below 94% during the year. The County explain that this may lead to prosecution if not improved. The law has also changed with regard to holidays in term-time. Amendments have been made to the 2006 regulations in the education regulations 2013. These amendments mean that as a school we will not be able to authorise any leave of absence for the purpose of a family holiday during term time in less there are exceptional circumstances. If you decide to take your child out of school during term time their leave will be marked as unauthorised. Any letters requesting leave of absence must be addressed to Miss Wainwright who monitors pupil attendance. Unacceptable levels of absence will be investigated by the Education Welfare, and could receive a fixed penalty. To encourage regular attendance we award certificates for 100% attendance during each half term; a further certificate is awarded for full attendance over the whole school year. A tutor group that achieves 100% weekly attendance is also awarded a certificate for display in the Tutor Room. Additionally a league table is kept to record half-termly and termly performances by tutor groups.